Ce blog est seulement disponible en anglais. In today’s supermarket, a variety of products labelled “gluten-free” can be found often targeting health-conscious individuals who are adversely affected by “gluten,” a protein found in wheat and other similar grains (Health Canada, 2012). Given the ubiquity of wheat and related grains in many processed foods, the government of Canada implemented regulations in 2011 that mandated the labelling of products containing gluten or gluten-containing grains in order to allow consumers to make informed choices (Health Canada, 2011). In current medical literature, the umbrella term “gluten-related disorders” is used to describe all diseases and adverse reactions that result from gluten ingestion. At present, there are three main classifications of gluten-related disorders: allergic reactions, autoimmune diseases, and immune-mediated responses (Ludvigsson et al., 2013; Sapone et al., 2012). Wheat allergies (WA) are negative immune responses, typically involving IgE antibodies, towards proteins found in wheat that can affect the skin, gastrointestinal tract, and/or respiratory tract depending upon the route of exposure (Sapone et al., 2012). More specifically, wheat allergies can manifest as food allergies, wheat-dependent exercise induced anaphylaxis (WDEIA), baker’s asthma, and contact dermatitis. 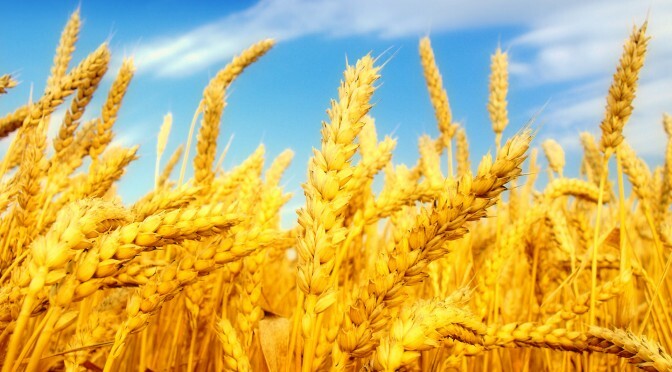 Food allergies result from the ingestion of wheat and a subsequent reaction to ω5-gliadin grain proteins which may lead to atopic dermatitis (skin inflammation), urticaria (hives), and anaphylaxis. Likewise, WDEIA has signs and symptoms; however, the reaction is induced through physical exertion coupled with gluten ingestion (Denery-Papini, et al., 2007). In contrast, baker’s asthma results from the inhalation of flour and cereal grain dust that result in allergic rhinitis (inflammation of nasal mucus membranes) (Tatham & Shewry, 2008). Furthermore, dermatitis or skin inflammation can result from exposing skin to wheat proteins (Sapone et al., 2012). Similar to allergic reactions that involve immune function, autoimmune diseases may result from exposure to gluten. Autoimmune diseases are characterized by a defective immune system whereby defense mechanisms attack organs, tissues, and/or cells normally found in the body (National Institutes of Health, 2014). Autoimmunity related to gluten consumption includes celiac disease (CD), dermatitis herpetiformis (DH), and gluten ataxia (GA) (Sapone et al., 2012). CD is an immune reaction to gliadin (gluten protein) and other related grain proteins, such that a cross-reaction is stimulated between the immune system and the small intestine leading to inflammation and atrophy of intestinal villi (Di Sabatino & Corazza, 2009). CD typically develops over a gradual process of months or years with continual gluten exposure, and individuals with CD may present with the following signs and symptoms: anemia, vitamin deficiencies, abdominal bloating, gas, indigestion, nausea, constipation, fatigue, weight loss, easy bruising, bone and/or joint pain, swollen ankles or hands, mouth ulcers or canker sores, infertility, depression, migraines or headaches, unexplained neurological conditions, vomiting, poor growth and/or short stature in children, dental enamel defects, irritability, behavioural changes, and delayed puberty (Di Sabatino & Corazza, 2009; Health Canada, 2008). In addition to CD, DH is another manner by which autoimmunity may be expressed through gluten ingestion. DH is an autoimmune skin condition that occurs in individual with CD, although the precise causal mechanism has not been deduced (Sapone et al., 2012). DH manifests as a rash accompanied by intense itching and burning, and the skin condition is usually localized on the elbows and/or upper forearms, however, other skin area affected may include the buttocks, knees, shoulders, sacrum, face, scalp, neck, and trunk. Like DH, GA may also be an autoimmune reaction due to gluten. GA is an autoimmune disease whereby the immune system cross-reacts and damages the cerebellum in response to gluten ingestion (Sapone et al., 2012). The result of damage to the cerebellum is ataxia or, in other words, impaired motor coordination, balance, gait, and speech (Schumahmann, 2004). Distinct from autoimmune diseases incurred by gluten are immune-mediated responses that involve the immune system in a different manner and are far less detrimental. Immune-mediated responses or non-celiac gluten sensitivity (NCGS) are adverse reactions towards the ingestion of gluten that are neither allergic nor autoimmune in nature; however, there may be a commonality in symptoms between NCGS and CD (Sapone et al., 2012). Symptoms may include the following intestinal and extra-intestinal manifestations: abdominal pain, diarrhea, eczema, rash, headache, foggy mind, fatigue, depression, behavioural changes, anemia, extremity numbness, joint pain, and weight loss. Although NCGS is of lesser severity than autoimmune or allergic reactions, the condition may nonetheless compromise quality of living. In summation, adverse reactions to gluten, wheat, and related cereal grains may take the form of allergic reactions, autoimmunity, and immune-mediated responses. Each type of reaction is characterized by distinct biological mechanisms, and subsequently, different signs and symptoms. Therefore, individuals who feel they may have an adverse reaction to gluten or wheat should consult a primary healthcare physician in order to receive proper diagnosis and determine and appropriate course of action. Following a gluten-free diet, however, may be a prudent first step in regaining health and wellness if you feel your body negatively reacts to wheat and/or wheat-related products. Denery-Papini, S., Lauriere, M., Branlard, G., Morisset, M., Pecquet, C., Choudat, D., … Moneret-Vautrin, D.A. (2007). Influence of the allelic variants encoded at the Gli-B1 locus, responsible for a major allergen of wheat, on IgE reactivity for patients suffering from food allergy to wheat. J Agric Food Chem, 55(3), 799-805. Di Sabatino, A., & Corazza, G.R. (2009). Coeliac disease. Lancet, 373(9673), 1480-1493. Health Canada. (2011). Harper government strengthens food allergen labelling regulations. Retrieved from http://www.hc-sc.gc.ca/ahc-asc/media/nr-cp/_2011/2011_23-eng.php. Health Canada. (2012). Health Canada’s position on gluten-free claims. Retrieved from http://www.hc-sc.gc.ca/fn-an/securit/allerg/cel-coe/gluten-position-eng.php. Ludvigsson, J.F., Leffler, D.A., Bai, J., Biagi, F., Fasano, A., Green, P.H.R., … Ciacci, C. (2013). The Oslo definitions for coeliac disease and related terms. Gut, 61(1), 43-52. Sapone, A., Bai, J., Ciacci, C., Dolinsek, J., Green, P.H.R., Hadjivassilou, M., … Fasano, A. (2012). Spectrum of gluten-relate disorders: Consensus on new nomenclature and classification. BMC Med, 10(13). Schumahmann, J.D. (2004). Disorders of the cerebellum: ataxia, dysmetria of thought, and the cerebellar cognitive affective syndrome. J Neuropsychiatry Clin Neurosci, 16(3), 367-378. Tatham, A.S., & Shewry, P.R. (2008). Allergens to wheat and related cereals. Clin Exp Allergy, 38(11), 1712-1726.